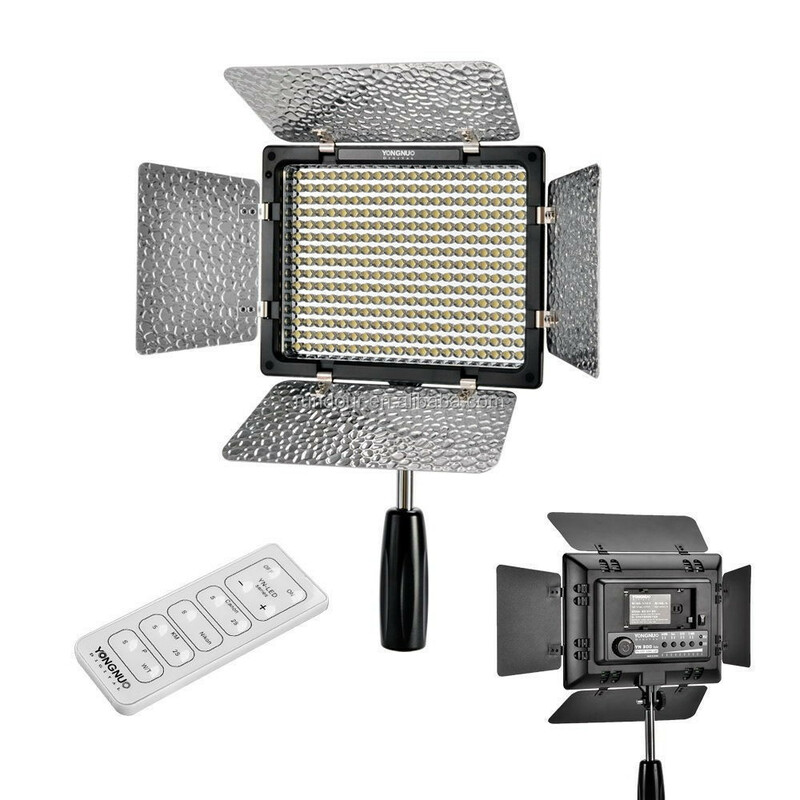 Yongnuo YN300 II is a 300 LED variable color temperature model, with settings from 3200K to 5500K. 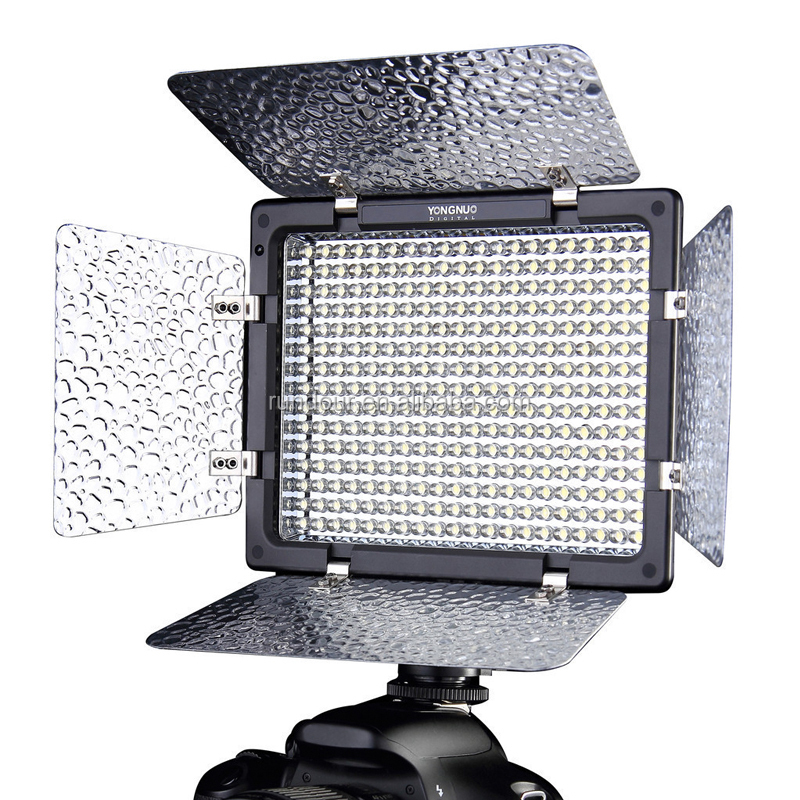 The YN300 II comes equipped with built in barn doors which are useful for protecting the light during transit and for shaping the light. To the side is a slot for the gels, which are easy to insert and remove. The overall build quality is quite good. 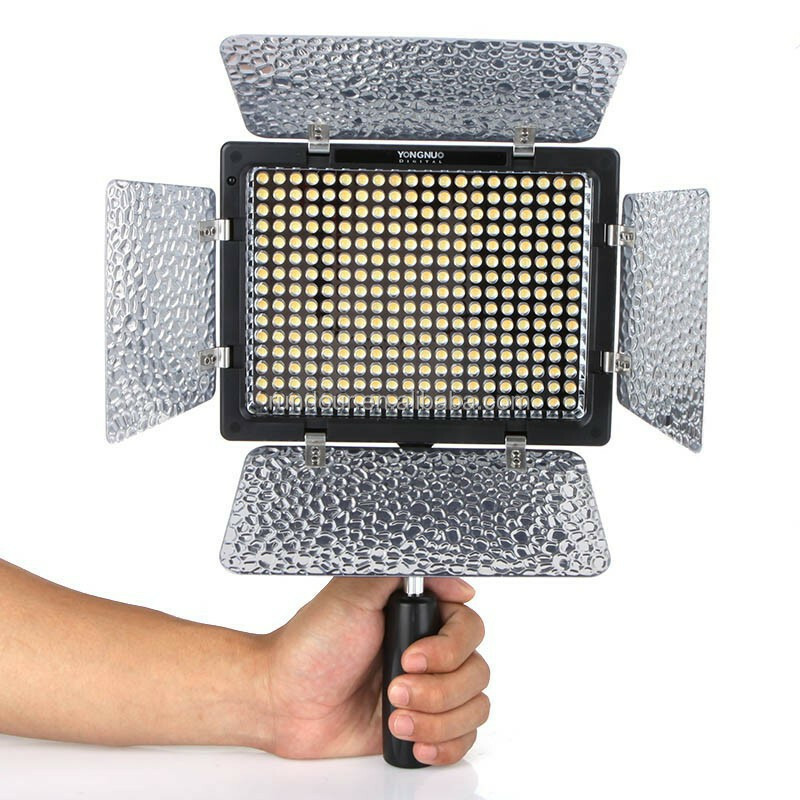 This LED light is inexpensive and compact and it would make a great additional to many photographer / videographer kit bags. Included in the box are 4 gels, being blue, red, orange (full CTO) and a clear / white diffuser, so the LED can be used under different environments. The orange gel is designed to be a full CTO (colour temperature orange), converting the YN300 5500K output to a 3200K tungsten equivalent. This is especially useful when shooting indoors under incandescent / tungsten lighting in order that the light temperatures match as closely as possible, making white balance much easier. Having indoor lights at 3200K and your LED light at 5500K can only create problems in post production, unless that’s the effect you’re looking for! The Blue/Red filters are useful for creating a colour washed backdrop. 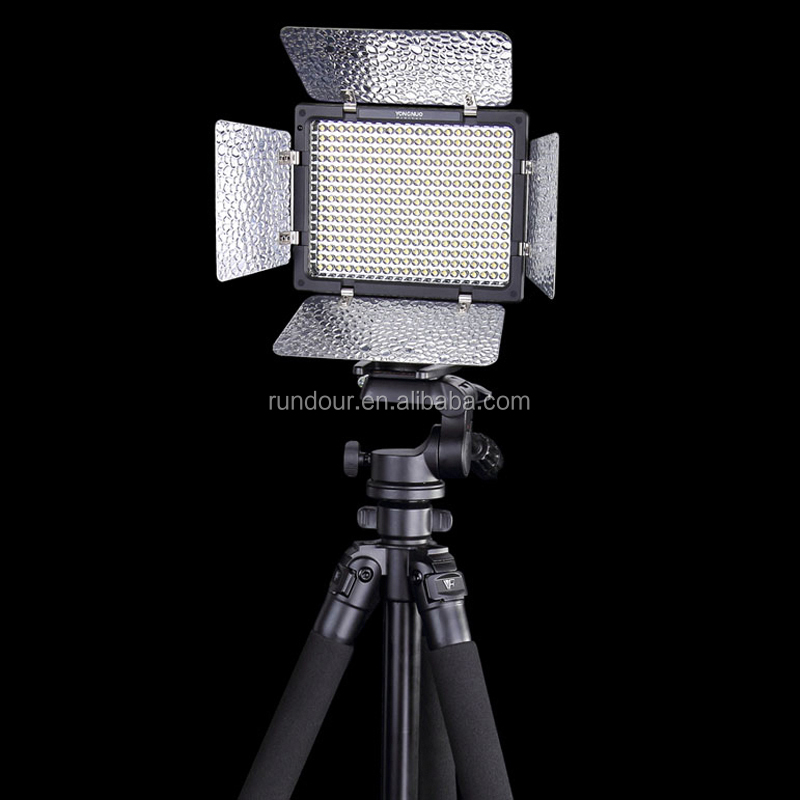 The Yongnuo YN300 II is quite a good light for the money. Its clearly not as bright as the Yongnuo YN300 mark I because at 5500K its only using half the number of LEDs. Similarly at 3200K only half the LEDs are being used and it’s only when you start mixing them to achieve different kelvin temperatures that you can harness the power of both banks. 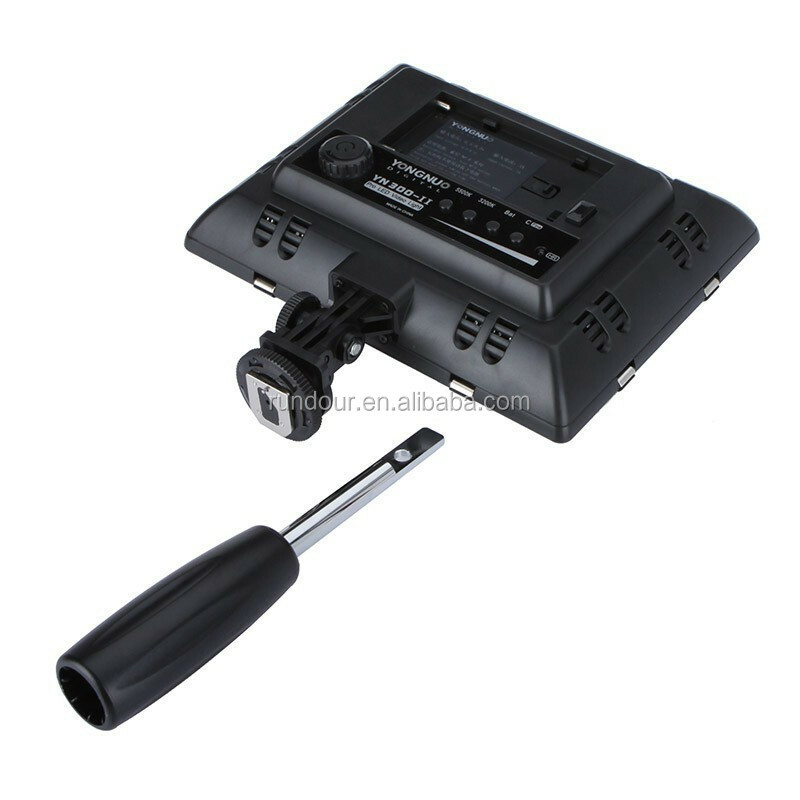 Yongnuo YN300 II is equipped with multi channel wireless remote controller which is used to adjust the luminous intensity and control the switch of YN300. Furthermore, it is very convenient to use this controller to control the luminous intensity and the switches of 8 groups of video lights. YN300 adopts 300 high quality LED lamp beads with chips of extra-large luminous area. In the same energy consumption, the luminous intensity is greater, the facular is more uniform and the service life is longer. Yongnuo YN300 adopts Yongnuo proprietary LED driving technology which does great help to effectively avoid corrugation and stroboscopic flash. 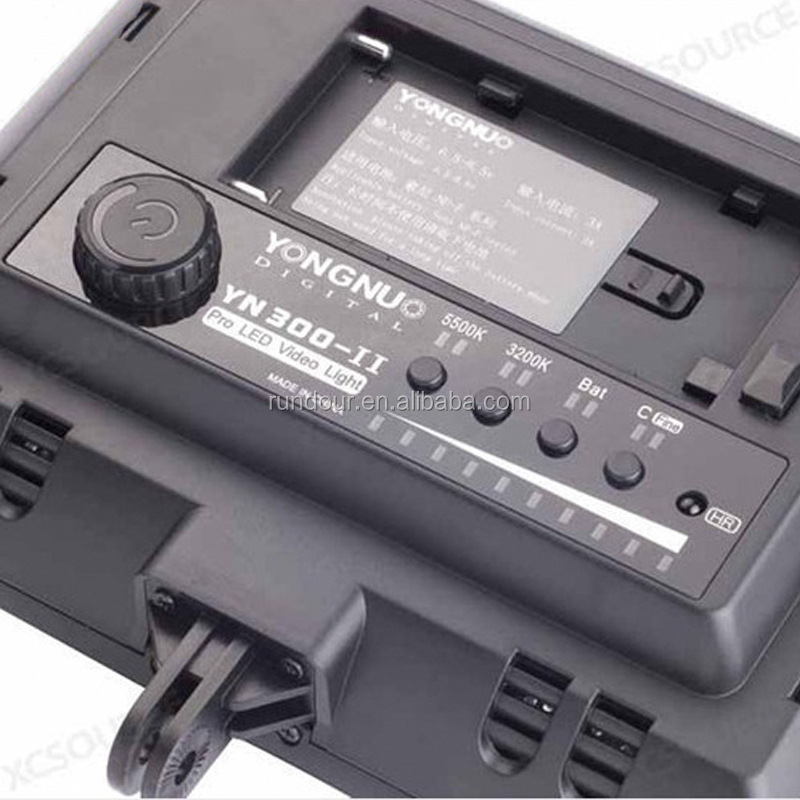 YN300 adopts encoder digital dimming system, including coarse tuning mode and fine tuning mode. Yongnuo YN300 is equipped with 4 pieces of color temperature filters, can be used under different conditions. Remote Dimming Mode – The wireless remote controller can adjust the luminous intensity and control the switches of YN300. The maximum remote controlling distance is up to 15 meters. Almost all the SLR cameras camcorders,like Canon Nikon Pentax Olympus Samsung Panasonic JVC and so on.Except Sony&Minolta(It needs hot shoe adaptor to use the LED light).